Muse Vine Club Members – Join Us for a Barrel of Fun on Sunday, March 11th! Vine Club Members alert: RESERVE NOW for your chance to taste 10 wines in barrel. Proprietor Robert Muse will host a members-only tasting on Sunday, March 11th, 2:00 to 4:00 p.m. Be among the first to sample our future releases and join in a Q&A about our wines and winemaking in general. Admission is free to members, but space is limited and reservations are required. Only six spots remain, so please contact Muse Tasting Room Manager Jaz Draper now at info@musevineyards.com or call her at (540) 459-7033 to reserve. The Virginia Wineries Association Governor’s Cup® Virginia Wine Competition is one of the most stringent wine competitions in the country. 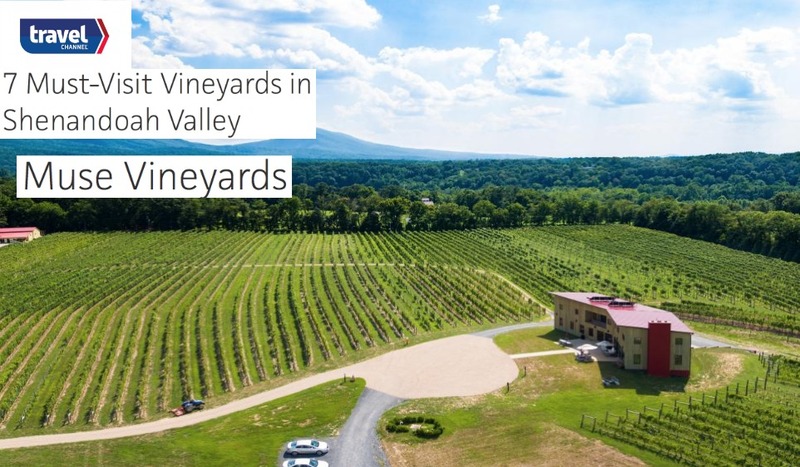 Entries must include an affidavit with a certification of 100% Virginia fruit and vineyard particulars, including grower names and locations. We are pleased to report that our 2016 Thalia was awarded gold by a strong panel of judges, directed by Jay Youmans – one of only 45 Masters of Wine (MW) in the U.S.
We care about energy matters because we care about renewable resources, one of which is the North Fork of the Shenandoah River that forms the Muse property northern boundary. Sally serves on the board of the Friends of the North Fork, a nonprofit dedicated to maintaining the health of the river. Celebrate St. Patrick’s Day the Right Way: At Muse! Saturday, March 17 is St. Patrick’s Day. Why waste it on soapy, green beer and goopy nachos, when you can celebrate with us at the Muse Tasting Room?! 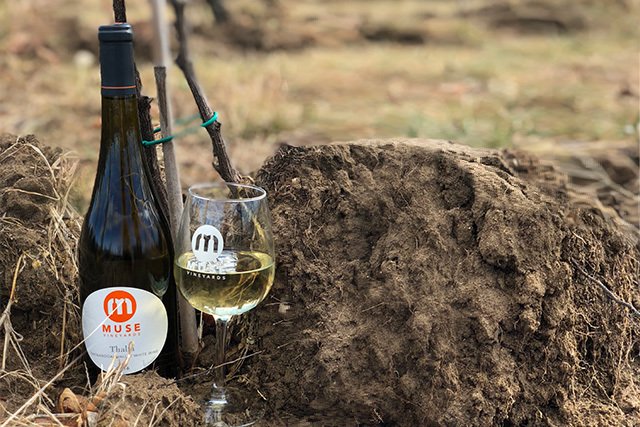 Join us that day from 3:00 to 6:00 p.m. for amazing sips of Muse wines, and delicious treats like potato and leek soup with house-made, Irish soda bread. Plus our favorite neighborhood talent, 10 year-old fiddle player, Willie Marschner, will be there to provide an appropriate musical backdrop, entertaining us with live Celtic music as we raise a glass to the man who chased all the snakes out of the Emerald Isle. 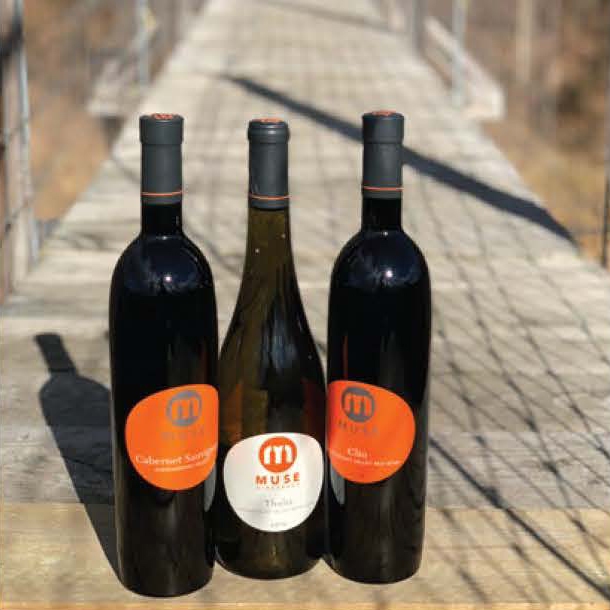 To reserve please contact Muse Tasting Room Manager Jaz Draper at info@musevineyards.com or call her at (540) 459-7033. What do we mean when we say “domaine wine”? 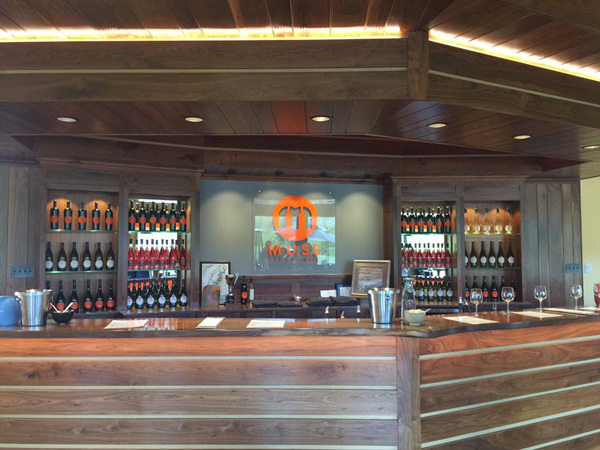 term domaine frequently, and usually in connection with the warranty that every wine we sell is made only from grapes grown at Muse Vineyards. In saying the latter we are illustrating what a domaine wine is— the product of a delimited space that you can take in with a few turns of the head or, in our case, 30 contiguous vineyard acres. In French, the word domaine is defined as both a “field” and an “area of control.” When used in connection with wine, the word combines both to mean a parcel of land under the control of a wine maker. Over time the word has become closely associated with the Burgundy region, an area of small family domaines that have been meticulously mapped and ranked meter-by-meter, according to the quality of the wines they produce – for example, from simple Bourgogne to Premier Cru to Grand Cru. Because a domaine wine is grown in a uniform micro-climate with the same vine stock and is subject to identical, viticultural practices has the potential to be a terroir wine.¹ By contrast wines that can never honestly use the term are the industrial products derived from grapes sourced from different, mechanized vineyards and then so homogenized and adulterated in the wine making process as to have lost any vestige of their place(s) of origin. In addition to limiting grape production to a defined vineyard, a terroir wine’s vines must be suitable to the soil and climate of the place they are being grown, and they must be tended properly. If all that is true, the variety will be recognizable anywhere in the world; Grown well in the right place, Cabernet Sauvignon is identifiable, whether its origin is Bordeaux, Napa, Chile or Virginia. If it isn’t, the word terroir is as irrelevant to the resulting wine as it would be to a discussion of the Coca-Cola produced in Baltimore versus Baltimore. Because a domaine wine is grown in a uniform micro-climate with the same vine stock and is subject to identical, viticultural practices, it has the potential to be a terroir wine. But while the grape variety should always be identifiable, that is only the beginning. To be a terroir wine it must be a distinctive expression of that variety; that is, it must reflect the circumstances of its growth and conversion from grapes to wine. At this point, it interesting to consider how a domaine wine differs from almost every other agricultural product. 1. It is processed into a final, consumable product at the place it is grown. 2. It is never mixed with the products of other farms, during processing. 3. The same people who did the agricultural work will do the processing work. Of how many other agricultural products can this be said? Olive groves to olive oil, perhaps. And grandma’s homemade strawberry jam! Let’s, for now, end with the knowledge that it isn’t surprising that her jam is better than anything you can buy in a supermarket. It’s a product of a single plot, so it possesses a pure unalloyed taste. Her berries are traditional varieties, not hybrids capable of producing vast amounts of strawberries weighing five ounces each. The fruit is handpicked and sorted so there are no bad berries in the mix that require preservatives and other adulterations. It’s made from strawberries processed while still fresh, so sterilizing chemicals are not needed to burn off the rot and bacteria engendered by hours of crushing weight in a bin sitting in a hot field 100 miles from the processing facility. (Over 95% of strawberries in the U.S. are grown in the warmest parts of California and Florida.) It reflects the growing season, bright acid in cool years, voluptuous depth in others. Again, factory jam is derived from strawberries grown in hot places and it is the product of applied chemistry to ensure it tastes the same every year. Grandma’s jam is by contrast a domaine jam, and she may be pleased to learn that it might even be a terroir jam! (1) The word microclimate is used in this piece in a common-sense way to mean a subpart of a larger, regional climate, as in, “Muse Vineyards has a microclimate influenced by a contiguous river and a mountainous rain shield a quarter of a mile away.” The Muse microclimate is found within a mesoclimate of the upper Shenandoah Valley; in the macroclimate of Northwestern Virginia. Readers, however, should know that many viticulturists confusingly take the term microclimate down to the conditions within the foliage of a given vine. It’s quite an honor. 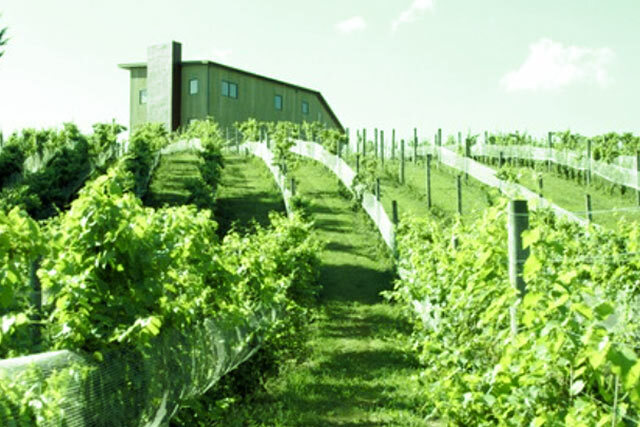 Muse is included in the Travel Channel online listing of great, Virginia vineyards to visit. 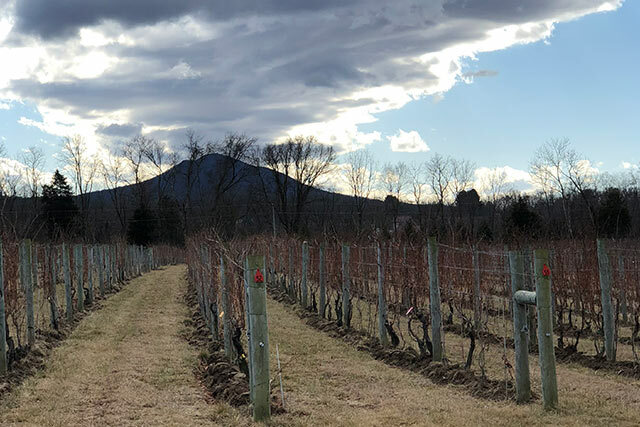 In part, the article reads, “The Shenandoah Valley is ripe—pun intended—with incredible wine, thanks to hilly fields in the Blue Ridge Mountains ideal for growing a wide variety of grapes.” We agree, are delighted to have been noticed and are proud to be on the list.